The official conference hotel is the Regal Airport Hotel in Hong Kong. It is located right next to the passenger terminal at Chek Lap Kok Airport. Our hotel offers free Wi-Fi and outstanding facilities. Rooms can be booked directly with the hotel. There are no negotiated rates or codes necessary to book. This gives you flexibility to book through your regular corporate channel as well, and be within the rate rules in your corporate contract. Hong Kong weather in May is moderate in temperature with a high of 29C/84F and low of 23C/73F. Rain is possible as on average half of May days have some rainfall in Hong Kong. Hong Kong offers visa-free travel for nationals of many countries. Please make sure you understand the entry requirements for your nationality at least six weeks before the conference. For Indian nationals, Hong Kong offers visa-free travel but requires a Pre-arrival registration online. Instructions can be found on the page of Hong Kong's Immigration Department. 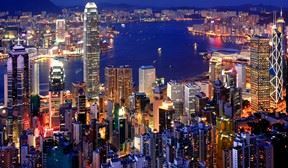 Hong Kong is an autonomous territory and a special administrative region of China. It is a bustling metropolis of 7 million, and one of the most densely populated places on Earth. As a global financial center with an iconic skyline, its economy is centered on services. This city is known for its British colonial past, its busy harbor, an infinite variety of Asian food, its many shopping venues and its melting-pot culture. How Does "User Influence" Work? readable and a manageable form is particularly important. This paper shows how a multi-purpose clustering algorithm is able to tackle all aforementioned tasks at the same time by using the method of model-based recursive partitioning. While belonging to the family of tree-based algorithms, especially appealing for forecasting, model-based recursive partitioning establishes a functional structure de_ning demand. Therefore, the resulting model is both exible and stable at the same time by relying on well-established methodologies of machine learning and statistics. Besides presenting the theoretical framework of the multi-purpose clustering algorithm, this paper also demonstrates applicability by practical examples that concern capacity steering, pricing and forecasting. We also show how each example is easily implemented by open source software, which makes our approach particularly appealing for practitioners. United successfully rolled out a new RM system, Gemini. It is built on the foundation of conditional demand forecast (CDF), which also adapts to changes in schedules and fares filed in the market place using demand elasticity and passenger choice models. Live A/B test confirmed the LF/Yield patterns of the new system vs. old system. However, no matter how advanced/good the science is, it is imperative to design a control process that understands the quality of the forecast. It would not only help resolve any systematic issues, but would also enable business users to make informed adjustments, when needed. We will review the metric, to measure forecast quality, and some examples how we used to help correct the issues and steer the project to success. While Airlines today increasingly depend on modern distribution of offers via the internet their actual offer creation systems are still mostly based on pre-internet technology. To fully leverage the new opportunities of modern data analytics tools and internet-based distribution airlines need to digitalize their Revenue Management approaches initially developed decades ago and still based on RBDs and statically defined products and prices. By transforming the current RM methods into RBD-independent modules will allow for a truly holistic Dynamic Offer Management that considers product design, pricing and distribution alike. In this presentation we want to discuss the basic setup to transform current Revenue Management approaches of airlines into a Dynamic Offer Management. To do so we will first shed light on our definition of Dynamic Offer Management as this term is still vaguely described both in academia and industry practice. We will then describe what major changes of Revenue Management approaches and systems are required to pave the way towards RBD- and filing-independent offer creation. Splitting up demand forecasting and customer oriented willingness-to-pay estimation is the foundation to develop both modules in a most flexible and scalable way. Based on this setup the implementation of dynamic pricing is enabled and gradual extensions can be added in the future for optimized ancillary pricing and dynamic bundling. Prescriptive analytics are commonly used throughout all industries in order to evaluate performances. In the aviation industry, we measure: ASMs, RPMs, Load Factor, Revenue, Yield, PRASM, etc. It can be argued that our performance in these metrics directly depends on RM, so the question we must answer is: given RM’s current demand expectation for all future flights, how will my network perform in terms of Load Factor, Revenues, Yield for all future flights? Is this demand distribution realizable, given the current booking behavior? We propose to use Predictive Analytics in order to gauge our future performance, and guide RM through their daily decision-making process. We will dive into our classification algorithm that determines in-risk flights and our RM-based simulation which predicts Load Factors, Spoilage, Denied Boarding, etc. The rise of predictive analytics and algorithms empowers us to understand our history, learn from it, accurately predict our future and improve upon our performances. Measuring the past is always important as it gives us a sense of what has been possible. Measuring the future, however, gives us the ability to change and improve upon what is possible. Improvements in battery technologies offer the potential for dramatically lower operating costs for new classes of electric propulsion aircraft. By reducing aircraft operating costs, electric propulsion could transform both air and surface transportation. “On-demand mobility” (ODM) has been interpreted in an aviation context as an air service between origin-destination pairs located at dispersed locations – not necessarily airports – that operates in an unscheduled (“on-demand”) paradigm. There is now widespread belief that ODM missions could be served by smaller electric propulsion aircraft with vertical take-off-and-landing (VTOL) capabilities that operate from vertiports or similar infrastructure. It is envisioned that these electric-VTOL (eVTOL) aircraft could provide air-taxi service for trips of two to four passengers between 10 to 70 miles within congested urban areas. Uber is planning demonstration flights in Los Angeles and Dallas of these eVTOL aircraft within the next five years. Imagine a world where instead of sitting in traffic on the downtown connector, you could simply drive to a vertiport near your home, fly over traffic, land on a rooftop near your work, and either walk or have an Uber driver take you to your office. In this presentation, we provide an overview of ongoing research in ODM flights, describe the methodology we are using to estimate commuting demand and willingness to pay for eVTOL flights and present an “eVTOL index” to show the potential profitability of eVTOL flights in different cities in the U.S.
New distribution technologies will soon allow airlines to dynamically adjust prices based on the characteristics of each shopping request. In this presentation, we discuss the implications of these next-generation pricing mechanisms for traditional airline revenue management. First, we discuss how airlines could provide targeted increments and discounts to traditional RM fares based on session segmentation and estimates of conditional willingness-to-pay. Using results from MIT PODS simulations, we show how these dynamic pricing mechanisms can lead to revenue gains by increasing conversion, in the case of discounting, and by increasing yields, in the case of incrementing. We close by addressing several common practical concerns with dynamic pricing, including potential customer and regulatory reactions, the possibility of forecast spiral-down, and the risks of a race to the bottom. This presentation describes the recent evolution in the MIT PODS Consortium of new forecasting and optimization algorithms for airline revenue management without fare classes. A classless price-demand forecast for each time frame is fed into an optimizer that determines an optimal fare to be offered in each time frame during the booking process, with the objective to maximize revenue contribution (fare minus bid price). New iterative variants of both the Probabilistic Bid Price (ProBP) and Unbucketed Dynamic Programming (UDP) algorithms will be presented. The Passenger Origin-Destination Simulator (PODS) is used to illustrate the revenue performance of these new Classless RM methods relative to traditional class-based RM in a competitive airline network. We present a dynamic programming formulation for total revenue optimization, incorporating the revenues and passenger choice impacts of ancillary services in addition to ticket revenues. An estimate of conditional passenger choice probabilities is used to compute the choice-adjusted total expected revenue of each fare class, which is combined with a demand volume estimate from the Ancillary Marginal Demand (AMD) forecasting model. Combined with an Ancillary Marginal Revenue transformation on the expected class revenues, this approach converts existing RM optimizers (such as EMSR) to become both ancillary-aware and choice-aware. We discuss implementation challenges and use the Passenger Origin-Destination Simulator (PODS) to illustrate the revenue benefits of our approach versus traditional RM models. Capacity providers such as airlines have traditionally increased revenues by practicing market segmentation and revenue management. However, they have left money on the table by neglecting to broker capacity between consumers with different willingness to pay. With the introduction of callable products, some consumers who buy capacity at low-fares grant the option to the capacity provider to recall capacity at a pre-specified recall price. These options in turn allow the capacity provider to buy back capacity to satisfy demand from high fare consumers when capacity is exhausted. Although the idea of callable products was introduced before for the special case of two fares, we make the procedure more operational by allowing multiple fares and restricting the option exercise policy to allow displaced low-fare customer to make alternative plans. Our model allows the service provider to keep their booking limit and overbooking policies in place. Our numerical study illustrate how callable products are win-win-win, providing additional revenues to the capacity provider, better service to high-fare consumers, and higher expected surplus to low-fare consumers who grant recall options. Demand forecasting is an integral part of a revenue management system (RMS), which means that measuring forecast accuracy is paramount when evaluating the performance of the RMS, both from a theoretical and a practical point of view. Unfortunately measuring forecast accuracy is not so simple, since we cannot directly compare demand forecasts with observed bookings. The observed bookings have been exposed to the RM-controls (e.g., capacity constraining, user-intervention, etc.) and therefore we do not directly observe the true underlying demand, but rather constrained observations. However the failure of this requirement, raises fundamental questions of the value of forecasting – until we are able to more accurately measure forecast accuracy, we essentially cannot tell a good forecast from a bad one. Therefore, we took a step back and introduced a new method to evaluate forecast accuracy – based on conditional forecast accuracy. We point out that this measure is completely general and applicable to any demand model (independent as well as dependent demand). We undertook a series of PODS experiments to see if this measure satisfied the fundamental requirement above. In this presentation we will report our efforts with a miniature PODS Network (A1one—a single O&D market with a single airline). Demand forecast plays a critical role in the performance of airline pricing and revenue management systems. Traditional airline forecasting models assume that the historical price, fare structure and flight schedule roughly stay the same for the future. They also sometime assume that demand for the products are independent and often ignore the dependency of the demand on the airline inventory control policy or real time price changes. In this talk, we develop three progressively more complex new forecasting models, which take all of the above into consideration. In addition, these new models try to better capture the underlying customer behavior by including the maximum willingness to pay of the customer and the choice attributes of the available options (services). The choice component in our models is similar to a mixed logit model. Our first model excludes price from the set of choice attributes. The second model considers price as one of the choice attributes. The utilities of maximum willingness to pay and choices are combined in the third model. We propose a method to calibrate the forecasting models. We compare the models and analyze the results by utilizing Airline Planning and Operations Simulator (APOS) on real airline data. The parameters and the availabilities are then used to compute the expected demand forecast and forecasting accuracies. The forecasts can be used as inputs to optimization modules for dynamic pricing and inventory control. We consider the following generic estimation problem. A firm sells a single product over a finite selling season. It can only observe purchases. It wishes to estimate (i) market-size (ii) price-sensitivity. This problem is not estimable. However in many RM and retail settings there is competition and firms have access to competitor price information. This by itself is not enough for identification, but in many industries firms have access to aggregate competitor demand information. We exploit this to estimate not just market-size and price-sensitivity but also a competitor attractiveness factor. Further complications in the real-world are endogeneity of price and market-size, unobservable competitor initial capacity, capacity-constrained sales and network effects. We address all these problems to estimate on a hotel data set. Extensions to multiple customer segments are discussed using similar ideas. (joint work with Muge Tekin, UPF). Continuing his study of User Influence from previous years, Dr. Bill Brunger will use PODS Simulation results to examine how "smart" RM algorithms and well-crafted post-forecast adjustment heuristics (which resemble User Influence) improve economic results. Bill will focus on two heuristics which have proven effective in past PODS studies -- "DUI" uses current booking levels to adjust forecasts in future time periods and "LocoFM1" compares the host carrier's lowest fare to OA current lowest fares, taking into account relative historical fare levels. During the reservation period of some flights the demand significantly fluctuates due to changes in business environment. Some demand variations can hardly be anticipated by the airline revenue management system. Therefore it often happens that sale policy applied at a given time in a flight turns out to be sub-optimal a posteriori. A mechanism of ticket buy-back can then be an interesting tool for the airlines aiming at boosting revenue from these flights. This presentation addresses main stages of a buy-back process triggered by the airline. This process includes the revenue management based solutions to support the selection of the tickets and the computation of the asked prices to get them back. We specially study three schemes of compensation that could be put in place by an airline to spur some of their passengers. A new mathematical model which optimizes airline expected revenue from buy-back according to the probability of passenger acceptance will be presented. The model has been assessed in a simulation environment for three compensation schemes. We played buy-back campaigns for several flights from actual airline and passenger data. Results emphasize our assumption that business benefits can be expected from a well automated mechanism of ticket buy-back and resell. In today's competitive landscape, understanding how an airline is positioned relative to its competitors is key to maximizing revenue. Revenue management systems rely primarily on the airline’s historical booking data to forecast demand and optimize the inventory controls; RM systems do not have visibility into how an airline is positioned relative to its competitors. Airlines typically rely on their RM analysts to observe and react to market conditions; in turn, they depend on data sources such as ATPCO, OAG and INFARE to understand what competitors are doing. Analyzing and taking actions based on these data is manual and time consuming (making the airline responses sub-optimal and slow). For several years, Sabre Consulting has been using a new solution which augments existing RM systems to help airlines dynamically react to market conditions to maximize profits. This solution uses existing airline inventory controls to make real-time adjustments to availability rather than dynamically changing airline prices (which is currently difficult to achieve across multiple distribution channels). This dynamic availability solution identifies potential availability changes based on customer shopping & booking activity, competitive positioning, and quality of service offered using customer choice and optimization models and price positioning logic. In this talk we are going to present the challenges we faced, our solution approach and the value this solution adds to an airline. Reinforcement learning (RL) is an area of machine learning concerned with how machines take actions in order to optimize a given reward (eg, revenue) by interacting with its dynamic environment. Some well-known recent applications include self-driven cars and machines playing games better than humans (eg, chess and go). One of the main advantage of this approach is that there is no need to explicitly model the nature of the interactions with the environment. In this work we present a new airline revenue management optimizer based on reinforcement learning. The model does not need neither a demand forecasting nor customer modeling (ie to estimate wiliness to pay) to work. It is theoretically proven that RL will converge to the optimal solution, however in practice, the system may require a lot of data (eg., thousands of years of historical bookings) to learn the optimal policies. To overcome these issues, we present a novel model that integrates domain knowledge powered by a deep neural network trained in specialized hardware. The results show very encouraging results with different numerical /simulated scenarios. We believe this opens the door to a new generation of revenue management system that could automatically learn by interacting with the competitors and customers, so it can react much faster to changes in the market conditions. Pick up from Regal Airport Hotel follow by Hong Kong Night Tour. Enjoy Chinese Dinner at Jumbo Floating Restaurant (include Chinese Tea). After dinner, transfer to Victoria Peak with sparkling views of Hong Kong as your backdrop. Tour end, transfer back to Regal Airport Hotel.